Short Wave Infrared Modules designed by Kerone are suitable product for the application of infrared technology. They are complete infrared system, ready for operation and at the same time they are comparatively less expensive. The save user design cost and time. Modules can be regulated, controlled and ventilated individually. 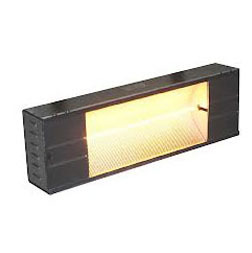 Its construction makes it possible to construct heating panels of any size with heater length of up to 40 mm. Short Wave Infrared Modules are advantageous to the user while installing it to the existing application and also to the planning and project engineers. Drying glaze on ceramic tiles.